Carlos Tevez has once again returned back to Boca Juniors after having decided to terminate his Shanghai Shenhua contract well earlier than scheduled. Tevez made headlines when he made the switch to Shanghai Shenhua, after signing a contract that made him the world’s best paid player. The Argentine was earning around £ 620,000 per week – more than double that of Cristiano Ronaldo and Lionel Messi at that period. Even though he has cost a bomb, Tevez failed to deliver the goods at the Chinese club. He came in with dismal performances in the Chinese Super League, and it was immediately speculated that he was unhappy with life in China. After failing to settle in Chinese culture, Tevez has long been linked with a return back to his hometown outfit Boca Juniors. However, the possibility of affording the extravagant wages of Tevez along with the transfer fee has been mooted as potential stumbling blocks. The disappointing return of four goals in 16 games for Shanghai Shenhua has now forced the club to accept an early contract termination. The 33-year-old has now returned to Argentine football, as the contract termination would Boca Juniors to get him on a free. Shanghai Shenhua have issued a statement thanking Carlos Tevez for his service over the last year. 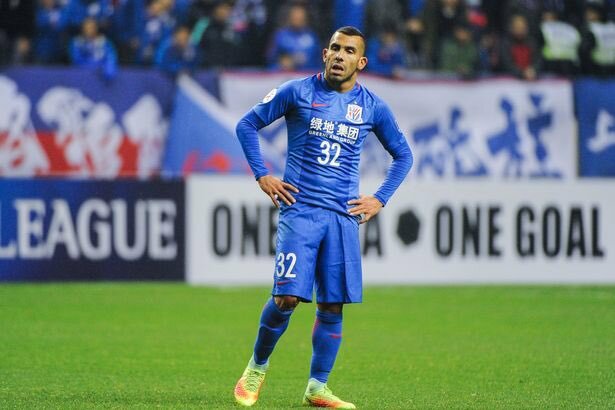 "The club would like to place on record our gratitude to Tevez for his contributions last season and wish him all the best in his future endeavours," said the statement from Shanghai Shenhua. Tevez has now returned to a club where he has played football in three different spells. After starting out his career with the Argentine club, Tevez is known for his spell in English football with the likes of Manchester United and Manchester City. He also represented Juventus in Italian football. The striker’s contract had just over 12 months left to run.